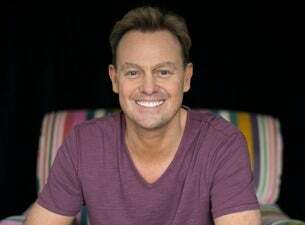 Jason Donovan has enjoyed a very successful and varied career in film, television and theatre plus a record-breaking international solo career in which he made over 13 million record sales. Most famous for his role as Scott Robinson in Neighbours, Jason won nearly every Australian award during his time on one of the country's most successful drama series and the hearts of millions. He then went on to play a number of other roles in film and television including Heroes, Rough Diamonds, Sorted, Horseplay, MDA and The Sun, the Moon and the Stars. Jason's vocal career began in 1988 when he released Especially for You with Kylie Minogue and a debut solo album, Ten Good Reasons. Following the release of his second album in 1989, Jason became the biggest selling UK and European artist. In the same year he was voted Best Male Singer and Britain's Best Album at the Smash Hits Awards. Jason has performed internationally to sell-out audiences of thousands. In 1991, Jason triumphed in the West End when he starred as Joseph in Joseph and the Amazing Technicolor Dreamcoat at the Palladium. In 1998, he again drew sell-out crowds for his performance as Frank 'N' Furter in The Rocky Horror UK tour, during the show's 25th anniversary. In 2014 he appeared in The War of the Worlds tour as Parson Nathaniel. Jason is currently out on his Amazing Midlife Crisis Tour, which has been extended into 2019. In celebration of his 50th birthday and with plenty of juicy tales under his belt, this autobiographical show takes you through his life. Come enjoy hearing stories about Neighbours, Kylie, Ten Good Reasons, Joseph, I'm a Celebrity, Strictly and much more, along with some of the songs you know and love.